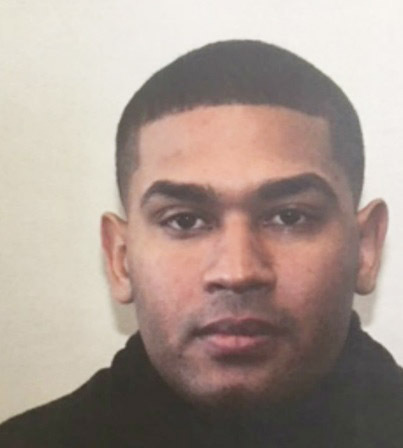 A federal grand jury formally charged police officer Eudy Ramos in a nine-count indictment for allegedly violating civil rights of individuals and filing multiple false reports to conceal his criminal conduct. Ramos, 28, of Paterson, was formally charged with conspiracy to deprive persons of civil rights, deprivation of rights under color of law, and falsification of record. He was arrested by the FBI in April 2018 and charged by a criminal complaint at the time. Authorities said Ramos and other police officers, Jonathan Bustios, Matthew Torres, and other unnamed officers, from 2016 to April 2018, targeted, stopped, and searched vehicles to extract cash from occupants. The same officers also illegally stopped and searched people in buildings or on the streets of Paterson to seize cash. Funds seized was split among the group. Police reports filed of the incidents made no mention of their illegal conduct. Ramos and other officers communicated using euphemisms via text messages to carry out their conspiracy. “Who’s in the mood for weekend mangoes[? ],” Bustios texted Torres on Feb. 24, 2018. Mango was a code word for illegal cash seizures. Some times the texts were plain. On some occasions the police officers identified buildings to hit for cash. “83 auburn back door is open,” Bustios texted Ramos on Dec. 7, 2017. “On my way,” replied Ramos. 83 Auburn Street was one of several locations the officers targeted for illegal cash seizures, authorities said. Feb. 1, 2017, Ramos and another officer stopped and searched a vehicle. Occupants were handcuffed and $10,000 in cash was seized from one passenger. Ramos and his co-conspirator split the proceeds. Their police reports did not mention the $10,000. Dec. 1, 2017, Ramos and Bustios stopped and searched a person on a street corner. Both took $1,000 from the person. After the alleged theft, a video of a portion of the encounter was posted on Twitter, authorities said. Dec. 7, 2017, Torres and Ramos stopped a vehicle. Both searched the car, driver, and passenger. Passenger had $3,100 and marijuana. Ramos told the passenger he could pay $500 and avoid a drug charge. Ramos then purportedly made a phone call and told the passenger his superior said it had to be $800. Ramos took out a paper, wrote on it, and had the passenger sign it. Torres and Ramos later released the driver and passenger. Both shared the stolen cash. Their reports did not mention the stop and search of the vehicle and its occupants or the cash seizure. Feb. 20, 2018, Ramos illegally stopped a vehicle and stole $1,800. Mar. 5, 2018, Ramos illegal stopped a vehicle. Authorities said Ramos could faces a maximum of 55 years in prison if convicted on all nine counts. Ramos is one of five police officers netted in the FBI probe. Other officers are Bustios, Torres, Ruben McAusland, Roger Then. Bustios, McAusland, and Then have pleaded guilty and are expected to be sentenced later this month. Police officials flagged the officers and referred the case to the FBI for investigation. When will the real criminals get taken down from Speziale on down? Please put these criminal in prison already. There are so many victim in this crime. I believe the city of Paterson should apologize to all the victims, including the tax payers of this city that was paying these criminals salaries. I also wonder who was responsible for the vetting process with these criminals. Shame on the city for this . If you are wrong you are wrong and this is just plain wrong. With criminals like these we must wonder how can we trust the police . I am glad the federal government see it for what it is . Much love and respect to all honest police officers out there. They was only targeting drug dealers. One post mentioned the victims were tax payers. Really? Are you that illiterate. What the officers did was wrong but there only victims mentioned were drug dealers. Remember for the advocates of drug dealers, drugs poison our generation, it is horrible, disgusting and needs to be stopped from all angles. we as tax payer are also victims as we pay the low life salary for however long they were on the force. Yes we are victims , maybe we should demand a reimbursement from the city. I hope you are not referring to my post calling me illiterate far from that. Again I question the vetting process. Again this is my opinion and I am entitled to it.